Acts 20:27 ""For I did not shrink from declaring to you the whole purpose of God." In light of Acts 20:27, Galatians 1:6-9 and 1 John 4:1, this article is a response to the website "Gospel Brew" and its counterfeit gospel(watered down/false gospel) and its false belief that "Hell is generally a stumbling block to people believing in God". It’s the Good News, not the Good Advice. A cup of church, two prayers, a bible reading, a tablespoon of ‘lift your hands in worship’, 1/10 of a cup of tithe, some evangelism, a slice of service to God and don’t forget your journal – praise it together and bake in a passionately hot oven. Serve with other Christians. Be positive too. Don’t forget to believe for the impossible. And the five P’s of faith. The three T’s of generosity. The Seven W’s of influence. It ends up being exhausting and deflating… Sending groans through our being as we look at all the things we have to do in our already busy lives. This isn’t the life that was promised in the brochure, and it ends up being more like karma, than Christianity. You see, we understand karma because it makes sense. “If I do good things, I’ll be repaid with good things”. We assume, of course that the good we do will outweigh the bad and it’s consequences – so that makes us good right? Surely my charitable gifts and being a good friend and son or daughter outweigh my bad temper or my selfishness? Surely, the argument goes, I’ll be repaid for my good but my bad will just be forgotten about? God says and shows us through Jesus, that sin is not simply an action. It’s not just the failure to do the right thing – or to do good when faced with needs or the evil of humanity. It’s a state of being – it’s in our thoughts, our hearts and penetrates us through and through. We squirm because God places the bar of “what is good” higher than Mother Theresa, higher than Ghandi. He places it at perfection. It’s a to do list impossible to fill, a karma bridge too far. A recipe not even the finest chef would be able to follow. It’s not polite nor popular to talk about how we are not as good as we think we are; it’s rather awkward in fact – but we can’t deny that this is what the Christian God says. But this is why we need good news; and we have some very good news indeed! When Jesus lived on this earth – he lived the perfect life. A life devoid of sin. A life filled with love (even to his enemies), compassion, humility, kindness, forgiveness, patience, joy, generosity and miracles. The ONE man who deserved favour with God, the one man who earned every reward and deserved every good thing to happen to him. Jesus, the only one who truly deserved to end up in heaven – broke Karma. What he actually got was separation from God, betrayal, hatred, jealousy, lashes, whipping, loneliness, pain, suffering and death. He got the cross. He received humanity’s karma – what we deserved for failing to do good when we could have, for doing evil when we should have done good – for our sin. But what did we get in this karma exchange? EVERYTHING.We get everything Jesus earned. We get his perfect performance record. We get his CV, as it were. The flawless resume that leaves employers clamouring to be chosen. A clean sheet. A new start. But ultimately, most beautifully; we get to be family with God – we get all the benefits of being God’s son. God’s daughter. Dave Harvey says, “The Gospel is the heart of the Bible. Everything in Scripture is either preparation for the Gospel, presentation of the Gospel, or participation in the Gospel.” Many Christians act as if that this good news is merely the entry into the faith – and are ready to load you up with another to do list once you get in. But the Gospel is the lens for how we view all of scripture. It makes sense of the troubling bits in the Old Testament… it helps us live without having to be overwhelmed by impossible moral or spiritual to do lists. The Gospel is about heart transformation, not about behaviour modification. To-do lists modify behaviour, while the good news begins to modify our hearts. God’s ultimate gift for us, his ultimate sacrifice – is what motivates us into life, and impacts how we behave. The Gospel melts our hearts, and moves our hands. It’s the beautiful melody that captures our imagination, delights our heart, and we can’t help our feet start tapping to its rhythm… So if we see that our behaviour needs changing, we don’t just simply just try harder to change – we realise how sad the world has become without that amazing song; how did it go again? We need to get the Gospel down deep into our hearts and minds so that we can’t help but start moving to a different beat. This gives us both greater faculties to assist change than guilt and to-do lists ever could – but the strength and the desire to do so. The Gospel needs time to brew. It needs to ferment, permeate and change. It needs to be mulled over, talked about, talked through and celebrated. And sometimes by dancing long into the night. Good beer takes time to create, and refine. And it gets better with age – but when it’s done, it’s a beautiful thing that makes parties come alive, celebrations complete and lazy Sunday afternoons all that much better. Come join with us in brewing, drinking, and dancing to this wonderful news. The Gospel of Jesus Christ." 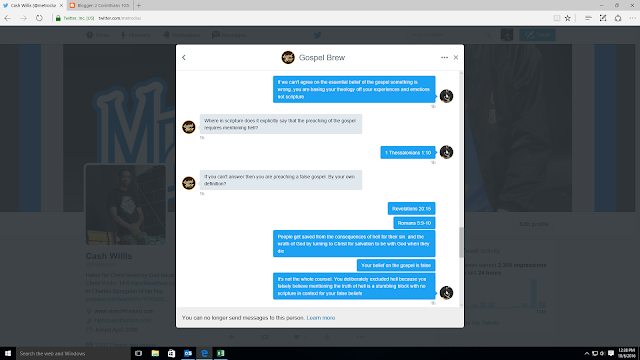 There are a few major problems with this presentation of the gospel thus making it false because it is diluted and on top of that when I confronted the gospel brew twitter page about this presentation of a watered down gospel- the reason given was not biblical at all but very heretical. I read the article and misinterpreted some of the things conveyed in the article after which I apologized for due to poor and hasty judgement on my part. The article is poorly exegeted as well too. I looked for a statement of beliefs for this blog in light of 1 John 4:1 and did not find one. I looked at their "what is the gospel" page twice. 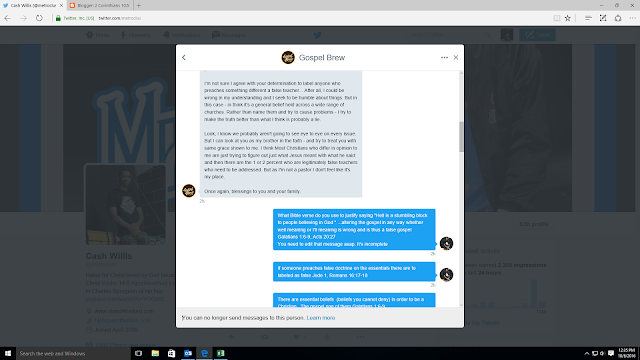 When I noticed there was something wrong, I proceeded to voice my concern privately with the gospel brew page in their dm. 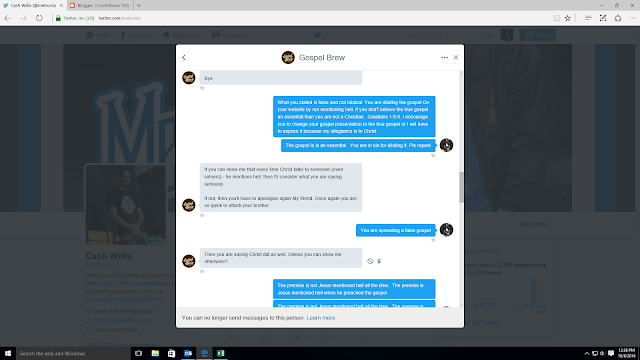 As you can see from this conversation many claims were made by the gospel brew twitter page , however none were biblical. Galatians 1:8 " But even if we, or an angel from heaven, should preach to you a gospel contrary to what we have preached to you, he is to be accursed!" 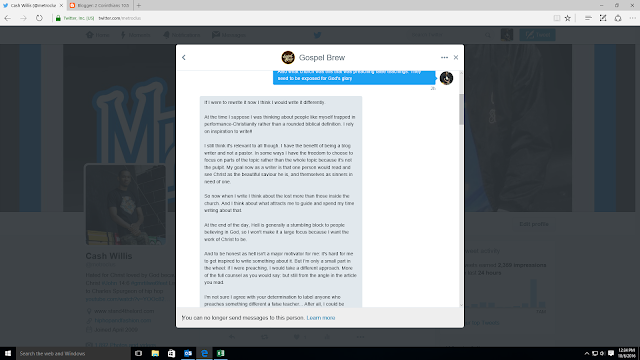 The fact that gospel brew blog is diluting the gospel according to scriptures is very concerning. 1. On the "what is the gospel" page offered on this blog, there are many problems. There are no scriptures cited in light of 2 Timothy 3:16 to explain what the gospel is according to scripture, no mention of what sin is according to the scripture, God's righteous judgment on the sinner being hell, who Jesus is according to scripture (God-man, 2nd person in the trinity, Son of God) , no mention of what Jesus actually saves from- God's righteous wrath , no precise biblical statement on how Jesus rose from the dead in the same body he died in physically but a glorified body to save etc This is a major points to leave out because they are essential to the gospel message and without all these mentioned you have a false gospel. Many cults are successful at diluting details of the gospel to get a false gospel. This blog is no different. This blog in their false gospel presentation compares Jesus's work on the cross for God's glory to "karma". Karma is not biblical and is false . "Karma is a theological concept found in the Buddhist and Hindu religions. It is the idea that how you live your life will determine the quality of life you will have after reincarnation." https://gotquestions.org/karma.html Such a lie is incompatible with the truth of Christ in the gospel yet this blog uses it. It should not be a surprise because this blog has no proper doctrinal statement on the essentials of the truth of the Christian faith and dilutes the gospel by leaving out key details. This is a classic example of people attempting to appease the carnal man at the expense of God's word. This blog even goes as far as comparing the gospel to beer with an analogy. Focused on analogies but not giving the whole counsel of God with scripture in context? Very dangerous. 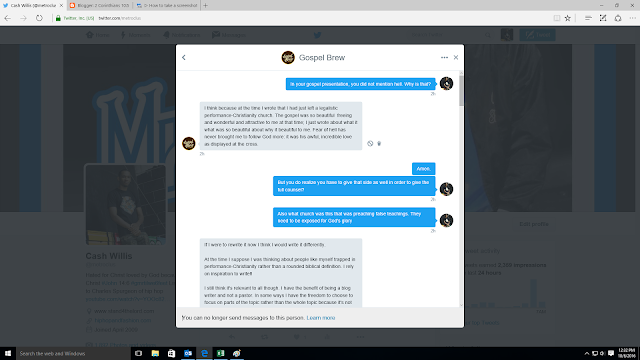 Now I will respond to some of the unbiblical points made by the gospel brew blog to justify their diluting of the gospel. 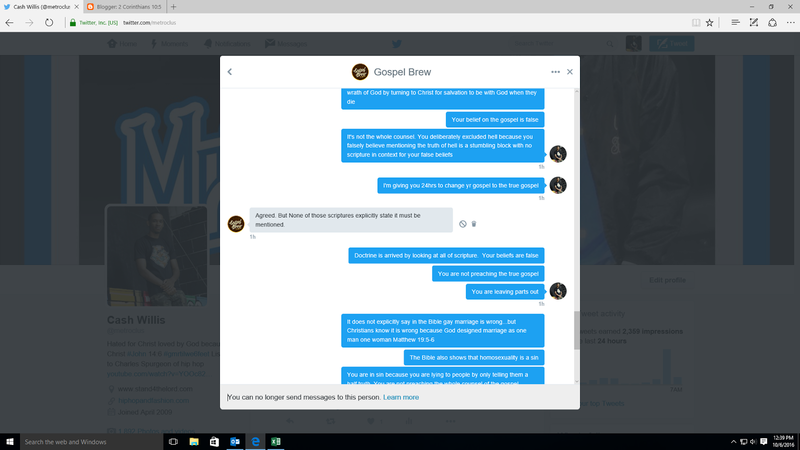 The gospel brew's comments will be in italic and are taken from the screenshots above. 2. "I think because at the time I wrote that I had just left a legalistic performance -Christianity church.......Fear of hell has never brought me to follow God more: it was his awful , incredible love displayed at the cross" - This statement was in response to my question why the reality and biblical truth of Hell was left out in the blog's false gospel presentation. As you can see here, the gospel was diluted the gospel because of personal preference and experience instead of glorifying God by giving the whole counsel of God with regards to the gospel . Experience and feelings do not determine truth and Christians are called to give the whole counsel of God. Proverbs 30:5-6 "Every word of God is tested;He is a shield to those who take refuge in Him. Do not add to His words Or He will reprove you, and you will be proved a liar." 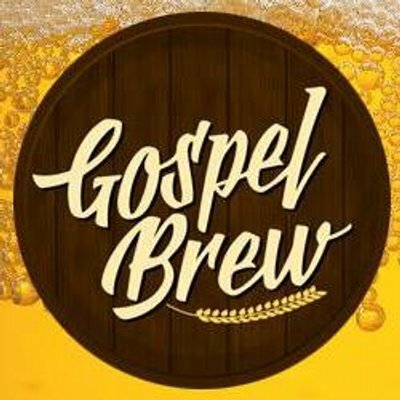 God is clearly against adding or subtracting from his word yet this gospel brew blog has no problem in diluting the essential truth of the gospel. This blog will be held accountable for all the people they mislead - Galatians 1:6-9, James 3;1. The Bible speaks of false teachers like gospel brew who twist and dilute the word of God tickle people's ears and get a favorable response 2 Timothy 4:3 "For the time will come when they will not endure sound doctrine; but wanting to have their ears tickled, they will accumulate for themselves teachers in accordance to their own desires," . Gospel brew claims to spread the gospel yet leaves out major details of the gospel therefore preaching a false gospel. Why would anyone follow such a group- a group that does not love the Lord and their neighbor enough to give the whole counsel according to scripture? 4. "Where in the Bible does it explicitly say that the preaching of the gospel requires mentioning hell" - This question is a poor attempt from the heretical blog gospel brew to avoid the fact that it does not preach the whole counsel of the gospel according to the scripture. Gospel brew asked this question even though as evidently seen in the conversation screen shot above, the Bible is not the blog's standard of authority. The mention of hell and other parts of the gospel left out by gospel brew in an attempt to appease the masses need to be mentioned because they are part of the gospel message. Scripture defines how we are to preach scripture. Nowhere in the Bible does it say explicitly the word "trinity" but we know the truth of God being triune is to be taught by looking at all of scripture. I also even brought up to gospel brew that Jesus does not explicitly condemn "gay marriage" however we know "gay" marriage is wrong because Jesus defined what marriage is in Genesis 2:21-25 and Matthew 19:5-6. A Christian knows that he must preach the whole gospel by mentioning all details because God in his word clearly defines what the gospel is- to leave out any truth in the gospel is to present a false gospel that does not glorify God and leads nobody to repentance and faith in Christ. It does not matter whether people will like it or not and we are not to dilute it to make it easier to accept at the expense of God's word. 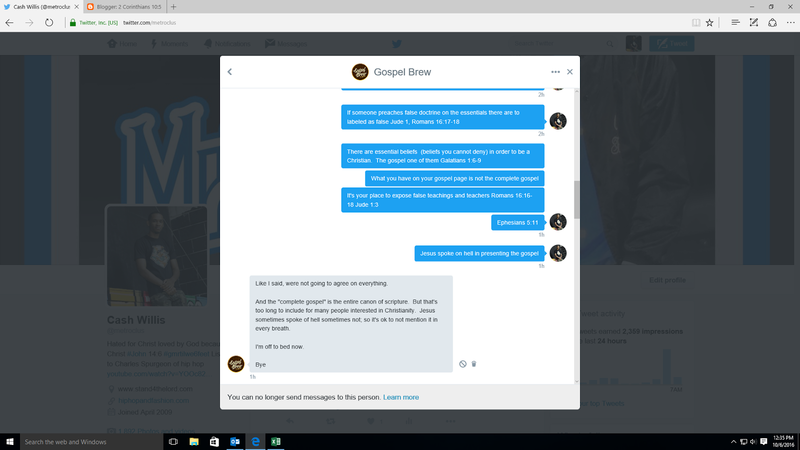 What gospel brew is doing is what many professing "Christians" do - i.e leave out the hard truths of the gospel in order to lead more people to Christ. This may seem noble but is very unloving and leads people to hell apart from God because it misrepresents who God is. God hates when is misrepresented, read Job 42. The gospel is an essential belief and to add details or take away details is worng and leads to hell damning heresy. 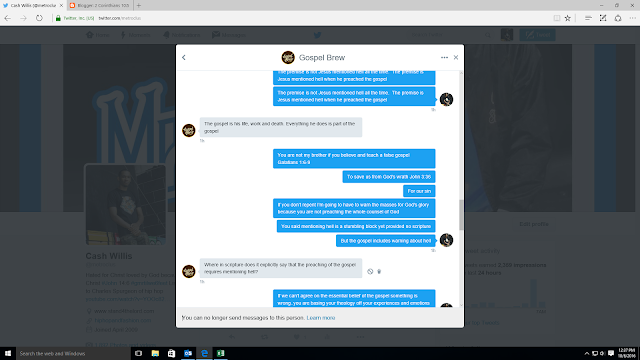 If you read the screenshots, you see I responded to each point made by this wicked blog with scripture in context. 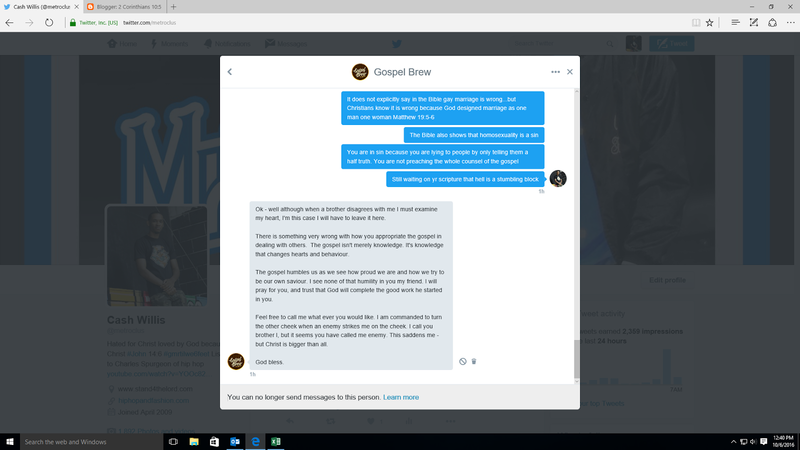 Gospel brew had no scripture in context to support its heresy. Lots of "churches" are doing this, diluting the truth and not giving the whole counsel of God. Gospel brew does not care about giving the whole counsel of God according to sound doctrine with scripture- you see this in its gospel presentation( a false gospel) and its absence of a proper doctrinal statement on the essentials. Please do not follow this blog, they will flatter you and mislead you to hell apart form God with a false gospel. If they won't tell you the whole truth on the essential belief of the gospel, what else will they not tell you the truth on? 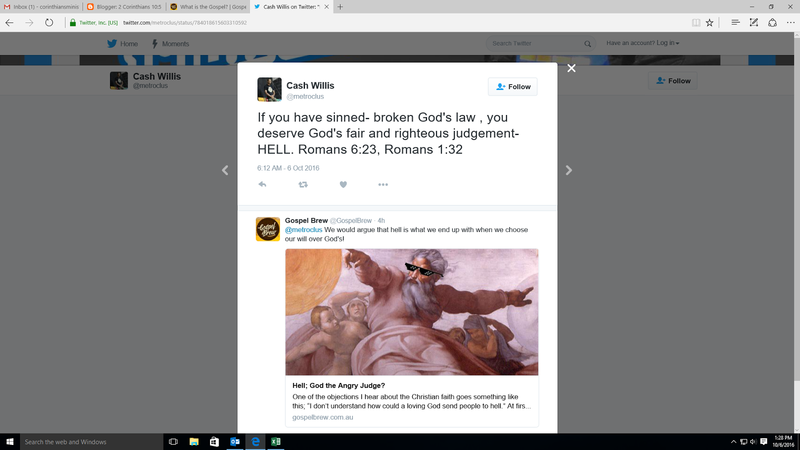 This blog spreads a false gospel that will lead you to hell apart from God.